Happy Halloween everyone!! Miami Deep Sea Fishing THERAPY-IV crew wants you to have a great time tonight. Halloween is the time of the year when we can cut loose and use our imagination to dress up however we please. There are also many festivities for this holiday, as many people will gather dressed up. Haulover Marina will be having a gathering for those who want to dress up, have some drinks and have a great time. Many families will be walking around neighborhoods with their children all dressed up. Some families dress up matching each other as a costume unit. Possibilities for costumes are endless when it comes to dressing up for Halloween. Dressing up for Halloween is a seemingly timeless tradition that everyone enjoys. Many of us spend every day of our lives dressing up for work or other social settings. There are social rules in the way that we are supposed to be dressed in our daily lives. This is one time of the year that you can dress however you please. Those with a lot of imagination are able to let out some of their craziest ideas. Many businesses are opened specifically for this time of the year. This holiday typically lasts over a span of a week between the weekday and weekend activities. The Miami Deep Sea Fishing crew from the Haulover Marina wants to make sure that everyone is safe. There are many cars driving out on the road, as there are parties everywhere. Many people will be walking down the street and neighborhood, so it is important that you have a group together. Families should stay close, as there can be many dangers out there. Having fun while being safe is very important to us from the Haulover Marina. The THERAPY-IV crew likes to have fun at this time of the year just like all of you. Miami Sailfishing crew looks to be creative with their costumes. 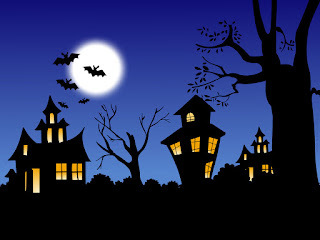 This is the time of the year when families and friends gather for Halloween parties as well as trick or treating. Many of the Miami Sailfishing crew members spend time with their families for the holiday as they are usually working during the week. There is some of the biggest parties costume themed that allows many of us to cut loose. 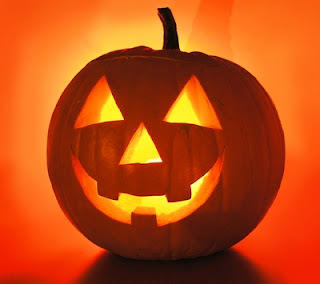 Halloween parties have previously occurred over the weekend and likely during the week. There will probably be Halloween parties over the weekend as well. Dressing up with your own costume idea can be so much fun. We spend the day tricking by day or treating by night. There will be more treating than tricking during the holiday, as most of us do not have the time or energy to run around tricking each other. Dressing up can be tricky, as you do not want to be the same as everyone else. Many people create their own costumes so that their design is unique. A good way to do this is by purchasing parts of the costume at the Halloween store and putting the rest together with other parts. Miami Sailfishing crew wants you to have a great time this Halloween season. The THERAPY-IV crew wants to remind you to dress up and have a great time this Halloween. If you decide that you do not want to dress up and have work the next morning. That is fine, just make sure that you have candy ready for when you receive some visitors, you always want to be prepared. Those who are dressing up and going out, the Miami Sailfishing crew wants you to have a great time and be safe. This is the time of the year when the Miami Deep Sea Fishing crew starts preparing for the Halloween festivities. 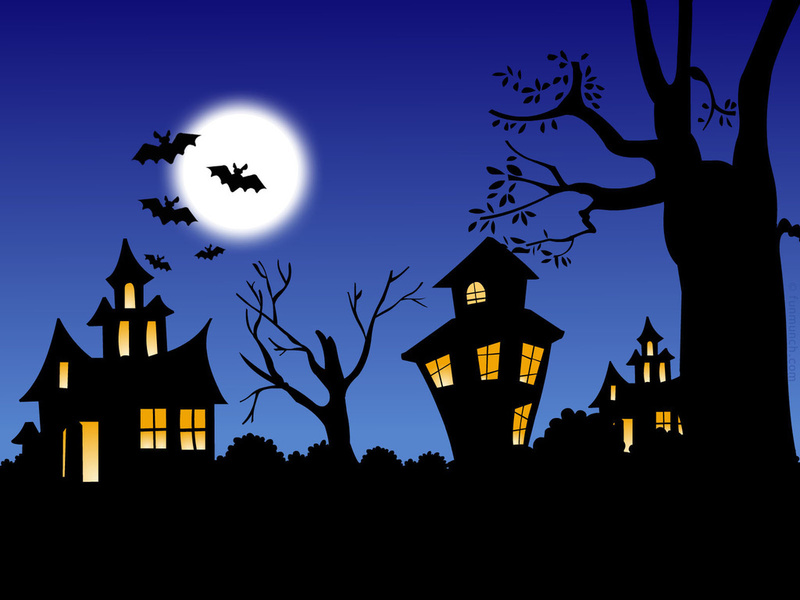 Some of us have already enjoyed some Halloween themed parties over the weekend as Halloween is in the middle of the week. Many of us are still searching for costume ideas for the holiday. Look no further than fish costume ideas from the Haulover Marina. There are a variety of fish that you can choose to dress as that the Miami Deep Sea Fishing crew knows plenty about. You do not have to follow any current trend of media that has happened throughout the year for your costume. A number of people have similar costumes due to what was popular during the year. Be different from the rest of your friends and family by dressing up as a fish. There is not a thing that is scarier than a shark. 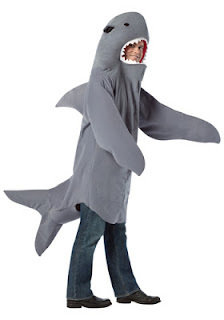 Dressing up as a shark can be a lot of fun as many would not expect it. You can choose to dress up as silly shark, dangerous shark or a fun one. If you want, you can get create by somehow about a zombie fish. The possibilities are endless in terms of fish costumes along with blending them with other ideas. Nobody would expect someone to dress up as a marlin or sailfish. A person dressed up as any of those will stand out and will be the talk of the night. People at the Haulover Marina will lend you a hand on details on how to appropriately dress up as a shark, marlin or sailfish. Tap into your creativity and do something that no one else is doing. This time of the year is so much fun as you can dress however you please without consequence. Miami Deep Sea Fishing crew wants you to enjoy yourself for the holidays, have a great time. The biggest boat show of the year is only a day, merely hours away. Fort Lauderdale Boat Show will be the event of the week, as fisherman from all over the state will be attending. The THERAPY-IV crew wants to give you a final reminder about this grand event. Buy your tickets today online so that you do not have to pay more at the day. This event is a show as well as a seminar for fishermen and non-fishermen everywhere. At this show, you will be able to learn more about Miami Sailfishing than ever before. Some of the finest fishermen around will be present to offer information about fishing and boating. Many of the fishermen will be open to answering questions about their boat or anything involving Miami Sailfishing. These fishermen have a vast amount of knowledge and plenty of experience with boating. For boat owners out there, other boat owners will be able to give you pointers on how to take care of your ship. The THERAPY-IV crew will also be present at the boat show. You will be able to hang out with the crew, as they have been to the show a number of times. The THERAPY-IV crew will be able to show you what you should check out while you are there. You can think of the THERAPY-IV crew as your tour guide during the event. The crew’s boat will be present as well so that you can compare it to the many other ones that are there. Fort Lauderdale Boat Show Starts Tomorrow! Start making your plans today for attending the event. Prepare yourself to have a great day as you will have an amazing time. Make sure you get plenty of rest so that you can have the energy to enjoy the whole day. The event is all day, so it can be very tiring if you are not prepared to be active the entire day. 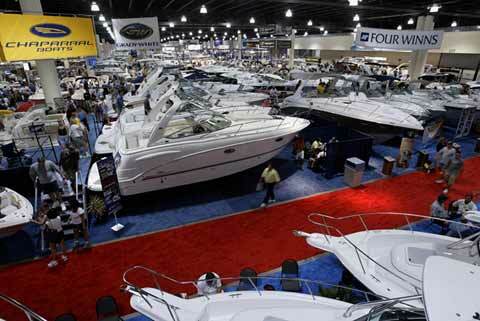 This week is the Ft. Lauderdale Boat Show, one of the biggest boating events of the year. There will be boats and yachts gathered from all over Florida and the country. You will be able to view and check out some of the most beautiful around. There will also be many events surrounding the boats for you to participate in. What better way to prepare for this momentous event than to go to the Haulover Marina and go Miami Deep Sea Fishing. Take a trip on the THERAPY-IV and go out Miami Deep Sea Fishing just days before this huge event. This is great for people who have not been on a boat in a while. The THERAPY-IV is a top of the line 48-foot boat that provides all the tools necessary to capture all kinds of fish. There are two THERAPY-IV boats to choose from, as they are nearly identical. The crew at the Haulover Marina will be able to educate you further on boats and fish of the sea. The knowledge you will gain about the THERAPY-IV will allow you to further appreciate some of the amazing boats and yachts displayed at the boat show. This will be great for when you enter the boat show; you will have more knowledge to offer. Already being well informed when going to the boat show will only make your experience that much better. Take a day this week before the show and go out Miami Deep Sea Fishing on the THERAPY-IV. Visit the Haulover Marina to ask any questions that you may have involving boating; fishing and the boat show itself. The THERAPY-IV crew has been going to the boat show for years now, they know where to go in order for you to fully enjoy yourself. The THERAPY-IV Haulover Marina crew wants to bring to your attention the Ft. Lauderdale Boat Show that is happening this weekend. THERAPY-IV crew wanted to give you a notice ahead of time so that you can buy the tickets online now. Buying the tickets online now will save you time, money and stress. This will give you the opportunity view some of the most expensive and beautiful boats or yachts in the area. Many boats and yachts are visiting from outside the Ft. Lauderdale area as well. Ft. Lauderdale Boat Show provides must see events that are featured alongside the boats and yachts that are displayed. These events include The Blue Wild Dive Show, IGFA’s School of Sportfishing and Hook the Future’s Kids Fishing Clinics. The Blue Wild Diva Show will feature speakers who are highly accomplished in the water diving industry. These speakers are available at the Ft. Lauderdale Boat Show from October 25-29. One of the speakers includes Sheri Daye who is Freedive Spearfishing National Chamption. Sheriis a multiple world record holder who hosts the “Speargun Hunter” show on Outdoor Channel. IGFA’s School of Sportfishing will be introduced at the Ft Lauderdale Boat Show. IGFA will teach the fundamentals for those new to the sportfishing activity. They will also give tips for those who are already experienced with sportsfishing. Hook the Future program is a curriculum for children who want to be introduced to advanced fishing at a young age. These are three of the many events that will be provided by the boat show. The THERAPY-IV Haulover Marina crew wants to bring to your attention these events within the show. You should join us, as we will definitely be enjoying the show and events within alongside with you. Right now is the time of the year for the Ft. Lauderdale International Boat Show later this week. All sorts of boats, yachts, canoes and exotic cars for gathered for the event. Visitors come from all over the country including many boating companies residing in Florida such as Miami Deep Sea Fishing. This year will be the 53rd occasion for this event that is called the “Yachting Capital of the World”. The event covers plenty of space as it covers six different locations and three million square feed. Sailfishing fishermen and those who appreciate such products. This show is highly anticipated all year long as some of the most expensive boats and yachts are displayed. The Ft. Lauderdale International Boat Show covers plenty of space therefore transportation within the location is made available. There are bus shuttles, water taxis as well as riverboats so that visits can view all of the boats and yachts on display. Alongside the boats and yachts, there are many attractions within the event for guests to enjoy. Attractions for the Ft. Lauderdale Boat Show includes the Blue Wild Dive Show, IGFA’s School of Sportfishing and Hook the Future’s Kids Fishing Clinics. Miami Deep Sea Fishing companies will be involved with the show displaying their boats and explaining their services. The Miami Sailfishing THERAPY-IV crew wants to bring to your attention this event. This event is a once in a year opportunity that you should not miss out on. Anyone who is interested in Miami Sailfishing or Miami Deep Sea fishing should take a day out of their week and enjoy the show. Pricing to see the show is fair costs $20 for adults and $5 for children. We want to let you know now so that you can buy the tickets online ahead of time and save yourself some money. Many of us are very busy with our work life and personal life. Unfortunately most of us do not have the time to go out on a boat to go Miami Tarpon Fishing. There are many people that want to go out fishing but do not have the time or resources. The availability of a boat on the day that your off is rarely convenient. Miami Tarpon fishing is a lot of fun, but it is not easy to just take a day off and simply go out to fish. The Miami Deep Sea Fishing crew will let you book and start planning your fishing trip today. Best way to get anything done in life is to plan ahead, planning the fishing trip will help so that you can invite your friends and family. It is as simple as going on the Miami Deep Sea Fishing THERAPY-IV crew website. The feature to book your fishing trip to go Miami Tarpon Fishing is on the left of the homepage. There you will see “ BOOK YOUR FISHING TRIP” with below space to give your information. You can choose from doing a half day, full day, private charter or even a shared charter, Once you figure out who else is going with you, you can also tell them how many guests are going so that they can plan accordingly. Best of all, you will be able to set a day on a digital calendar in which you want to go Miami Tarpon Fishing. Sailing times of the THERAPY-IV is from 8AM to 12PM or 1PM to 5PM so you can plan the time range of the trip. Unlike most boating charters, Miami Deep Sea Fishing will match any legitimate pricing of comparable charter boat services. Plan your trip today to go Miami Tarpon Fishing with the THERAPY-IV crew. Miami Sailfishing is an amazing experience that you should try out at least one time. Plenty of us have simply sat at the end of the dock and set up a rod waiting for some small fish to capture. There is a major difference between land fishing and going out on the THERAPY-IV to go Miami Sailfishing. These fish are huge as they can be from about 30 to 50 pounds. It is very common to see a sailfish that is under 30 pounds or even over 50 pounds. The capturing of these fish are largely appraised by many fellow fishermen. Outside of the challenge of capturing these fish, the adventure is an enjoyable experience. The THERAPY-IV is a top of the line boat that flows smoothly onto the sea. This boat is beautiful and large in both the outside and inside. Inside of the boat is very comfortable when you are out sailing abroad. All the tools necessary are provided in order to successfully go Miami Sailfishing. Outside on the boat provides plenty of space so you can comfortably relax on it. The THERAPY-IV provides a water tank in which bait is provided for you to find and capture the sailfish. This boat has both the comfort and capability to successfully capture sailfish. Only one trip is necessary for you to understand how enjoyable Miami Sailfishing is. These fish will be found in offshore waters. The THERPAY-IV will take you where you want to be in merely minutes. There are two THERAPY-IVs available so that two groups of people can enjoy this boat at the same time. Take a day to enjoy Miami Sailfishing abroad the THERAPY-IV with your friends and family, you will not regret it. You will be able to say that you captured one of the most dangerous fish of the sea. Breast Cancer Awareness is throughout the entire month of October, not just for the first week or two. The THERAPY-IV crew continues their support for the cause with their flags waving proudly throughout the month. The boating crew from the Haulover Marina also continuously shows their support through the website and social media. Everyone is on the Internet in this day and age; we want to spread the word of our support to our followers. The website will continue to mention the important of the cause as a constant reminder to those viewing the site. The THERAPY-IV website will lead viewers to the social media where most people are actively using. Facebook will post messages as well as pictures showing support for breast cancer awareness month. There will be pictures of the Haulover Marina boat showing the black flag with the pink ribbon. The flag is raised near the top of the THERAPY-V so that everyone can see it. The flag will be seen in person as well as online through the facebook account. Pictures of the flag will be posted weekly as a reminder to followers that view the page. Captain Stan has a flag for Breast Cancer-Awareness with the American flag at his home. Not many people have a flag for the cause at their house. We are looking to spread the word by encouraging telling our followers to tell their friends. The THERAPY-IV continues its support for Breast Cancer Awareness in the month of October through the website and social media. This Haulover Marina crew uses both facebook and twitter in order to spread the word through social media. October is the month in which the crew puts all of their attention the cause as well as all year around. For a limited time, the THERAPY-IV is offering a limited time discount both new and loyal customers. This great opportunity as taking a day out on the boat can generally be pricy due to the maintenance on the boat, the gas, docking along with everything that has to be done in order to provide a boat. The money is worth it as taking a trip out Miami Barracuda Fishing on the THERAPY-IV is unlike any other experience. The way you get this discount is by simply calling Captain Stan and saying “I came from Facebook”. Captain Stan like many other companies is looking to promote through social media. Social media is becoming an advertising tool in order to spread the word to others that would be interested in activities such as Miami Barracuda Fishing. This tool is also a great way to provide customers service through a social media in which a lot of us spend most of our day on. We are hoping that discounts such as this will encourage those to use our social media as a source of information. Right now the THERAPY-IV provides information on the website, facebook as well as twitter. This is one of the many ways that the THERAPY-IV crew is able to provide the best customer satisfaction. The promotion will be on the THERAPY-IV facebook page giving the information necessary to receive the discount. All you have to do is call Captain Stan with the phase “I came from Facebook” with his number 305-945-1578. The discount will give your 15% off on your next trip on the THERAPY-IV. We can all save some extra money while enjoying our leisure time; it’s as simple as checking our social media and giving Captain Stan a call. October is the time of the month when everywhere you look you see the color pink. The color pink and the ribbons are both for breast cancer awareness. You will see the color pink this month around more than ever. The NFL along with other popular athletic sports will be wearing pink on their uniforms. A lot of people are not as willing to wear the color pink; those typically wear the small pink ribbon that is pinned to their shirt. World Wrestling Entertainment goes as far have the middle ropes of the ring pink along with a breast cancer awareness message on the ramp to the ring. Captain Stan Saffan of the Miami Deep Sea Fishing crew follows the same trend that is for a great cause. Captain Stan Saffan places a pink breast cancer awareness flag onto the Miami Deep Sea Fishing boat the THERAPY-IV. The THERAPY-IV is a large beautiful boat that brings attention to everyone around it. What better way to represent and bring awareness to this cause than to have a flag for breast cancer awareness. Many fishermen and others in the boating industry are traditionalists so a change like this is drastic. This will give the opportunity to bring attention to this cause to a whole new demographic. Captain Stan Saffan of the Miami Deep Sea Fishing crew understands the importance and significance of having the flag proudly raised throughout the month. We should not have to experience breast cancer in our personal life before going out to support against it. The best approach to everything in life is to be proactive, attacking cancer before the disease attacks us. Caring for those who have or are currently experiencing breast cancer is very important, as the support means a lot to them. October has begun and now is the time to start planning for the events for the month, as October can be one of the busier months of the year. October events in Fort Lauderdale already started last week as the Cheers for Charity event previously happened over the week, a wine and food festival. The Miami Deep Sea Fishing THERAPY-IV crew wants to bring to your attention to the events within the month of October in Fort Lauderdale. There are many events in the art at Fort Lauderdale is one of the more cultured cities in the State of Florida. Both the city and beach of Fort Lauderdale provide art expos, art galleries along with other displays of art. Some of the upcoming events as early as this week include the Opera Society New Member Social, Keiko Matsui, and comedian Mario Cantone performance. The Opera Society New Member Social is located at the new Copacabana Supper Club and is open free to the public tonight. Keiko Matsui is a music performance at the Broward Center for the Performing Arts later this week with a $40-$70 admission. The music provided at the concert holds bold influences form jazz, rock, blues, and modern new age music. Mario Cantone is a writer, actor, and comedian that is bring his talents to the Hard Rock Live later this week as well. These are only three of the many events at Fort Lauderdale in the month of October. Many of these events are based on the arts in terms of talent or display. While you are in the Fort Lauderdale area exploring the arts and many events the city has to offer, take a 15-minute ride to go off on the THERAPY-IV. The Miami Deep Sea Fishing harbor actually ends up saving you time, as the marina is only 3 minutes away from the sea. Docking from Fort Lauderdale can take over 30 minutes as the coast is further away from the sea. The Miami Deep Sea Fishing THERAPY-IV crew residing from the Haulover Marina would like to recommend you checking out the Las Olas Art Show. The art show is located in the center of Fort Lauderdale. This occasion is the art show’s 25th year; Las Olas is ranked within the top 100 art festivals in the country. For those who are interested in art and the culture of art should take a visit. The festival provides art galleries, eclectic boutiques and restaurants that range from seafood to Latin American cuisine. The Las Olas Art Fair is one of the most anticipated events in the Broward County area. Visit comes out annually to see well over 100 displays of art along the street. The street is displayed as if the location is an art gallery. You not only have the opportunity to enjoys these arts of display within the city of Fort Lauderdale, but you also have the opportunity to meet the creators of these pieces of art. The art creators will give you the opportunity to answer any questions that you would have about their art. You can go as far as asking about their inspirations, techniques and purchasing items that are for sale. You will have a great time at the fair as this fair is an once a year event. Not far from this event and the Fort Lauderdale area is the Haulover Marina where you can go Miami Deep Sea Fishing. After a day of enjoying the awe inspiring art displayed at the Las Olas Art Fair, you can then venture out in the sea on the THERAPY-IV. The 25th anniversary should be a grand event as every Las Olas Art Fair is already impressive on a normal year. Here at the Haulover Marina, Miami Barracuda fishing is growing to be more and more popular. Barracuda can be found in a large variety of locations as they can be found both inshore as well as offshore. These fish are located in large cities such as Miami, Miami Beach and Fort Lauderdale. The fish can be while Miami Deep Sea Fishing or even while Wreck fishing. There are many ways and locations to capture these fish in the sea. Even though these fish can be discovered in numerous locations, they are a good challenge to capture. Barracudas are pretty long fish that carry dangerous teeth, as they are saber-like sharp teeth. The fish carry many nicknames when described by those who are Miami Barracuda fishing. Some of the nicknames include cuda, cudas, tigers and tiger of the sea. These fish are not difficult to find as there are many locations where you can discover them. They typically range from about 8 pounds to around 20 pounds. Barracudas fights back fiercely as they attack the bait aggressive and hold on with their life. The fish tend to fighter more aggressively when hooked up to live bait. There are many fishing technique when going out Miami Barracuda fishing. Some of these techniques include trolling, live bait fishing, drift fishing, anchor fishing as well as fishing from inshore areas. Inshore areas such as the Haulover Marina are good methods for barracuda fishing. The combination of accessibility of finding these fish along with the challenge of capturing barracuda has led to the growing popularity. Barracudas are a great first capture for those who are new to fishing. Miami Barracuda fishing from the Haulover Marina has been growing in popularity as plenty of barracudas are captured off the THERAPY-IV. The Halloween festivity is coming up soon and now is the time to prepare for the holiday. Everyone is making plans for upcoming parties and other Halloween related events later this month. Now is the time when most of us are deciding what costume to wear for Halloween. The majority of us are too busy working along with their daily routine to worry about all year long. This holiday only adds to the many things that we have going on in our lives. Some people take this holiday more seriously than others, especially after a certain age. Halloween sets the tone for the month of October, a change up to the year that many of us experience. One thing that does not change throughout the year is the enjoyment of riding on the THERAPY-IV. Going out Miami Deep Sea Fishing is not a trend that is only popular once a month as fishing is in all year round. There are months in which being out on the boat fishing can be more desirable due to the weather. Going out on the boat as an escape is one way to settle you down. 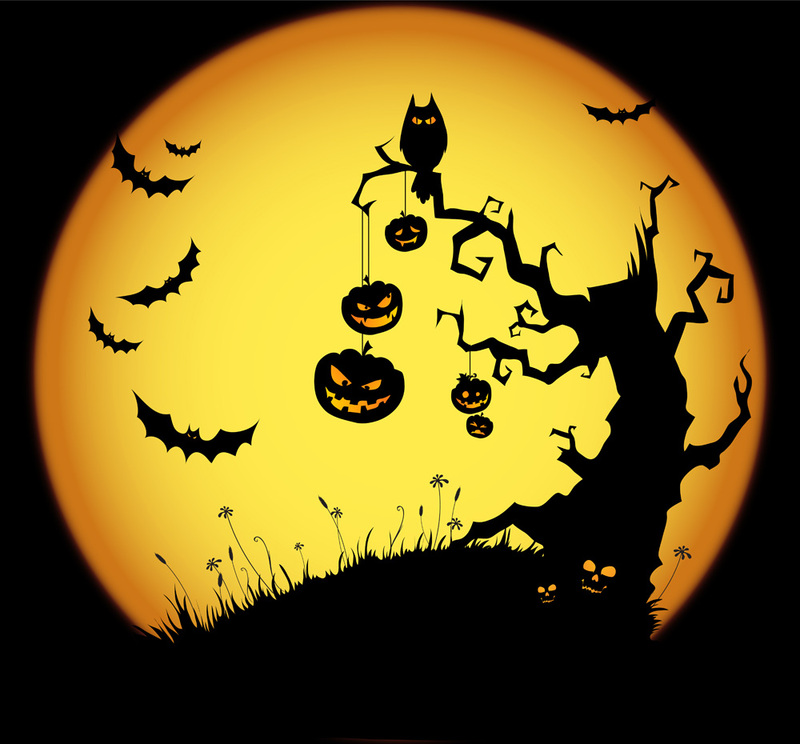 Halloween adds to the busyness with preparing for the party, costume shopping and trick or tricking if you have children. The holiday is plenty of fun for friends and family to enjoy, but is a lot with our schedule. Miami Deep Sea Fishing on the THERAPY-IV is a great way to clear your head. The countdown to Halloween includes much planning and preparation for the festivities. A number of us do not have the resources or time to fully enjoy Halloween between the events, costume shopping and trick or treating. A simple day off Miami Deep Sea Fishing on the THERAPY-IV is exactly what you need at this time of the year. Miami Deep Sea Fishing is one of the more rewarding ways to spend your leisure time after a long week at work. The boat ride from the Haulover Marina on the THERAPY-IV is a smooth and comfortable trip. The trip out in the sea in itself is one to talk about among friends and family. The adventure of locating the right location in order to find the fish is another quest. Finally capturing the fish is gratifying, as the process requires a process with plenty of patience. This fall, there are three fish that are best to catch during this season. Miami Sailfishing is amongst the three best fish to catch during the Fall Miami Deep Sea Fishing. Sailfish are predominantly found in the offshore waters as the fish are located close over various reefs. The fish can be found in Miami, Miami Beach, and Ft. Lauderdale. The fish are known for their large beautiful dorsal fin, along with their fighting ability, and aerial performance. Miami Sailfishing is a highly rewarding challenge as they are great fighters. Tarpon fish are also great fish to capture in the fall season, as they are very popular. The fish typically range from thirty to about eighty pounds, some have been discovered over one hundred pounds. Tarpon can be found close to the Haulover Marina. Marlins are great fish to capture in the fall season as well. The fish are within the largest and most powerful and they are typically located offshore in the Gulf Stream. All three Tarpon, Marlin, and Sailfish are great fish to locate and capture while Miami Deep Sea Fishing in the fall. This fall is a great season to go out Miami Deep Sea Fishing. Dock from the Haulover Marina and go out Miami Sailfishing this fall.